For us, a promise made is a promise kept. And we promise to do what’s right for you, regardless of the time and effort it takes. Because dealing truthfully with people is just the way we do business. So if you have a question or concern, you can always expect an honest answer. We believe reliability and staying power are underrated. Fiscal responsibility and conservative business practices have put us in an enviable position, one that allows us to commit—long-term—to your satisfaction. So regardless of economic ups and downs, you can count on us to be here for you. Being available is the first step toward being able, and that accessibility is an important component of any successful partnership. With Entegra Coach, you’ll have a direct line to personal customer service. We’ll work around your schedule—not the other way around. We believe in responding quickly when issues and problems arise. 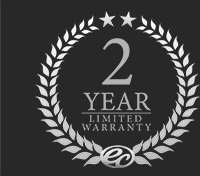 We handle warranty issues promptly—and if you need a part, it’s our highest priority. No matter the problem, we’ll work with you until it’s resolved to your satisfaction. Diligence and attention to detail are crucial aspects of our success. By anticipating your needs and wants, we can prevent problems before they happen. Our unique combination of hard work, old-world craftsmanship and exemplary customer service guarantees you’ll never be disappointed with your decision.